The Nordic Pocket Saw is a lightweight and very packable outdoor saw with a super sharp ‘chainsaw’ blade. Read the review or watch the video. The Nordic Pocket Saw is a lightweight and very packable outdoor saw with a super sharp ‘chainsaw’ blade. 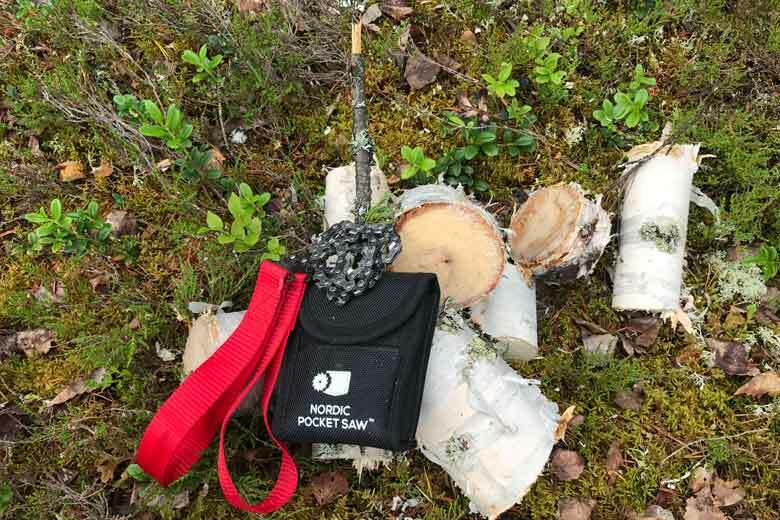 The Nordic Pocket Saw comes with a very good pouch. The pouch is made of a Nylon fabric and has a lid that closes with a piece of Velcro. De pouch has a loop so you can attach the Nordic Pocket Saw to your belt, the strap of a backpack or even your cycle panniers. The pouch is well padded to prevent the sharp saw damaging your trousers. And off course: it also protects the saw. The Nordic Pocket Saw is a lightweight and very packable outdoor saw with a super sharp ‘chainsaw’ blade. 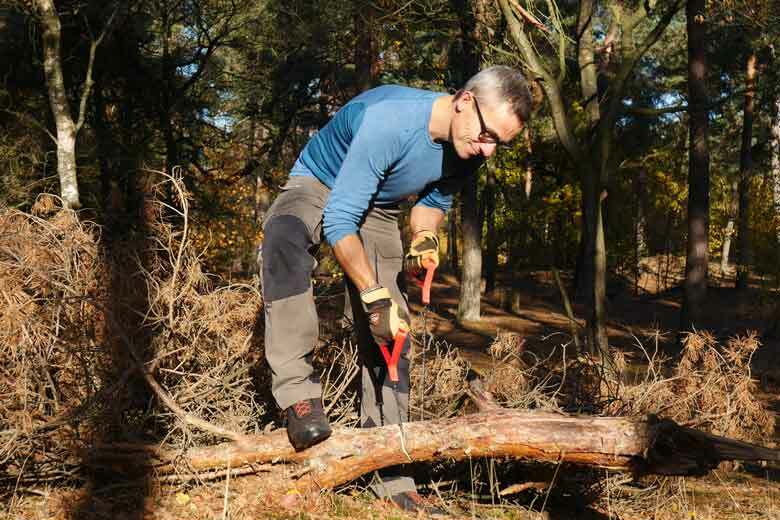 The Nordic Pocket Saw is in total 104 cm long and the chainsaw part itself is 68 cm long. The total weight of saw and pouch is 160 grams; the saw itself weights 127,7 grams. The packsize is 90 x 115 x 35 mm. 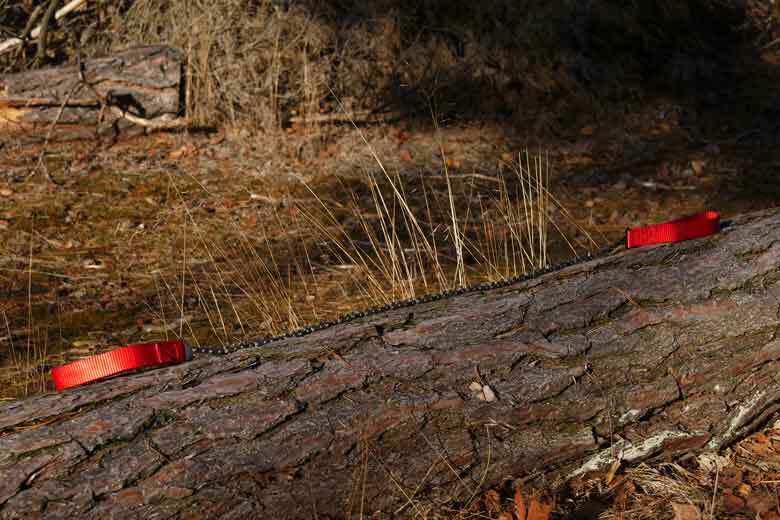 The Nordic Pocket Saw is in total 104 cm long and the chainsaw part itself is 68 cm long. The saw itself resembles the chainsaw of a big petrol-powered chainsaw, but it is not the same. 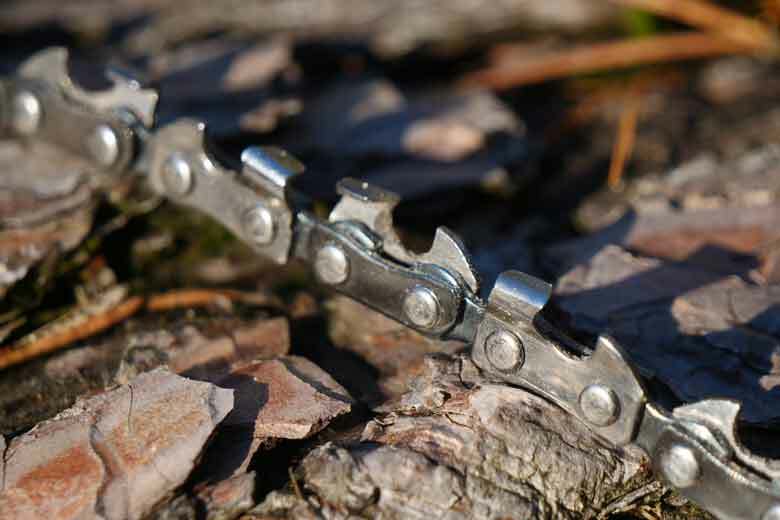 The teeth on the Nordic Pocket Saw are a bit smaller which enables them to make tighter corners around small branches. The chain itself is made of hardened carbon steel. De loops for the hands are made of sturdy nylon and are big. So made for small and big hands. Also using them with gloves is possible. 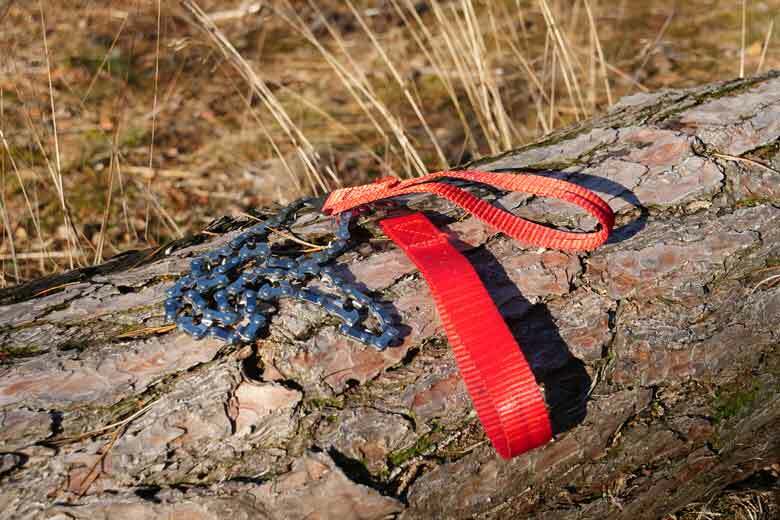 The connection between de nylon and the chain is made from metal and it is a very solid construction. The chain itself is razor-sharp out of the ‘box’. The connection between de nylon and the chain is made from metal and it is a very solid construction. 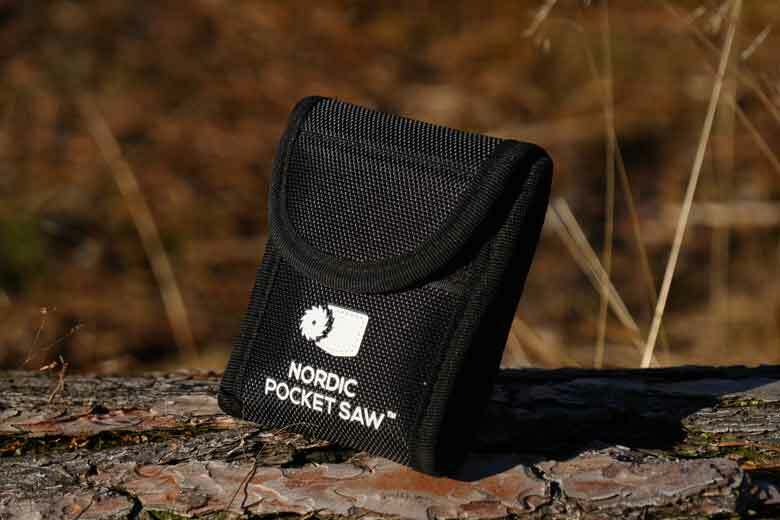 The Nordic Pocket Saw pouch is made of a Nylon fabric and has a lid that closes with a piece of Velcro. 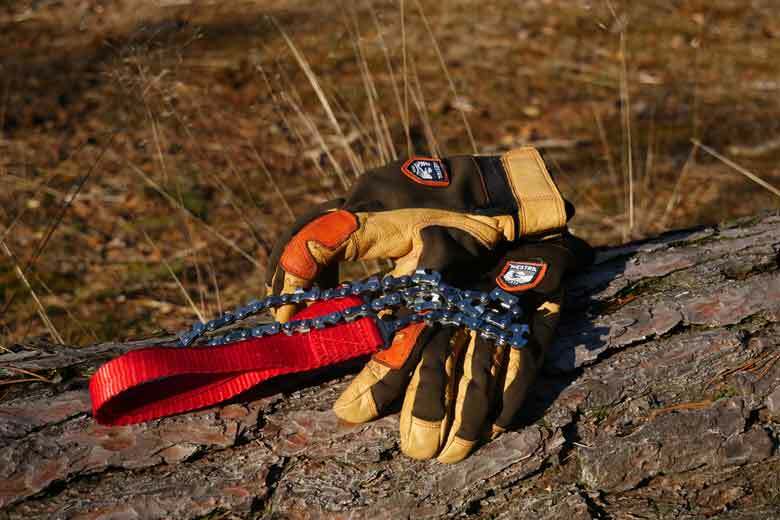 The loops of the Nordic Pocket Saw are wide enough to fit hands with gloves. 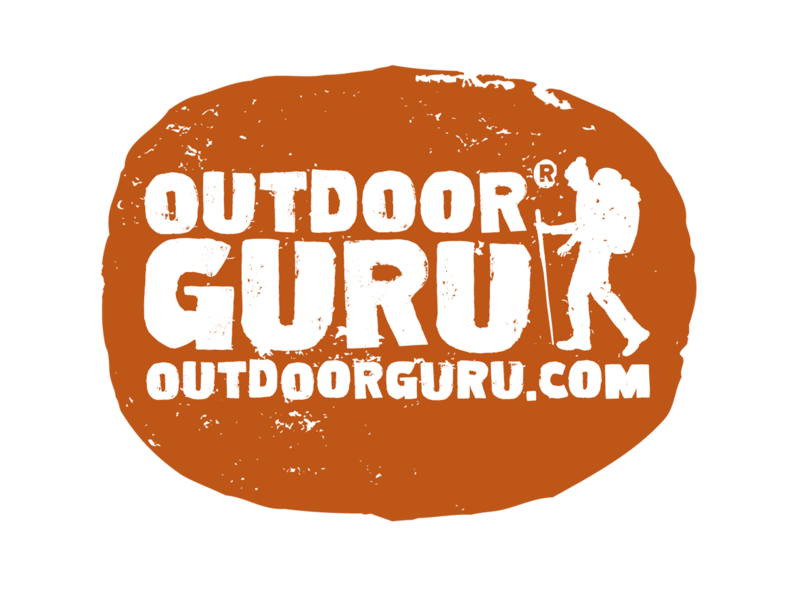 The Nordic Pocket Saw that I am reviewing here has been with me since the Scandinavian Outdoor Awards in early spring 2017. I am part of the jury and we tried the saw in the Austrian Alpes. The chain itself is razor-sharp out of the ‘box’. All I had to do was find a nice branch, wrap the saw around it and start sawing. The teeth removed wood like a hot knife through butter. 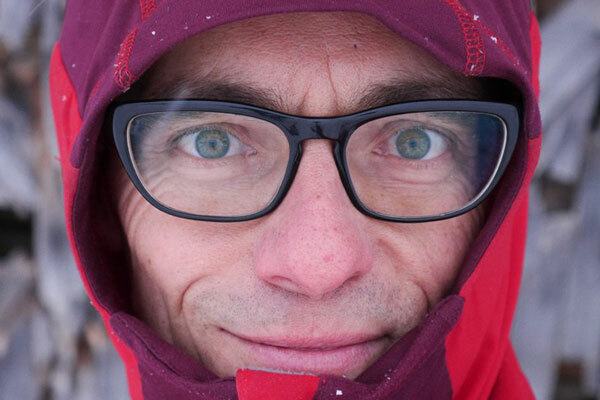 But…although we actually have time there to test the gear, it’s still only a short impression. So I asked if I could test the Nordic Pocket Saw a bit longer to make this review. Sweden is the ultimate Nordic Pocket Saw country. This one has been with me on almost every trip since that spring in 2017 and I have used it a lot. It’s been to Germany, Sweden and also Oman. I have used it with cutting fresh smaller birch trees to carve Lappish mugs out of them and with old hard dry Omani wood to make a campfire. 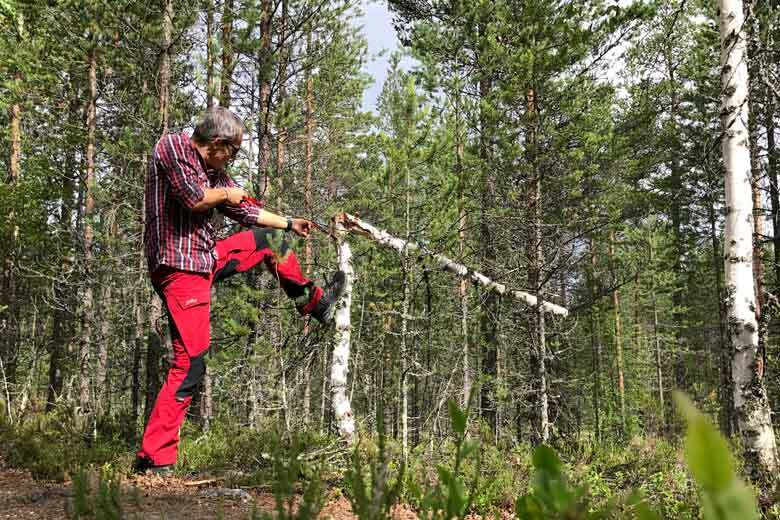 The Nordic Pocket Saw is not bothered if the wood is fresh or dry. The thickness of the tree does matter off course. Since the chainsaw blade is 68 cm long it is not realistic to cut big trees. The maximum – depending on the sort of tree – is around 10 to 15 cm. If there is two of you, a bit bigger is possible by using each one loop. The result of a half hour sawing logs for mugs. Using the Nordic Pocket Saw is a joy; like a hot knife through butter. 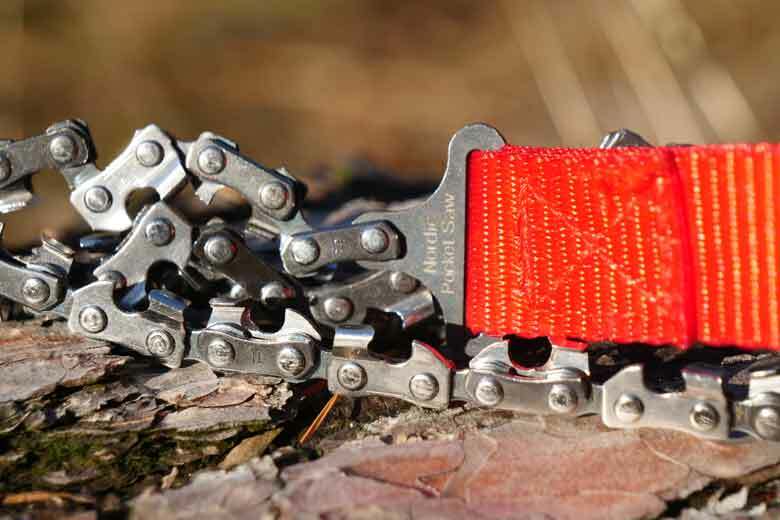 The Nordic Pocket Saw is one of the best products I have tested over the years. It is lightweight, packable, sturdy and does everything you could possibly expect from a small handy pocketsaw. Overall and build quality is top notch and no competition for a lot of the other pocket chainsaws out there. The majority of those other chainsaws are way cheaper than the Nordic Pocket Saw that retails for € 59,95. The price might be high but it is harmony with what you get and therefore I rate the Nordic Pocket Saw at 9.6/10 points!